The life of a samurai is a lonely one. Living a life of honour and unassuming solitude, the one thing that a samurai accepts early on is that their death is inevitable. The only question that remains is how that death will come. In Jean-Pierre Melville’s Le Samouraï, death does not come in the form of a contract killer, but in the slender body of a jazz pianist. The minute Jef Costello (Alain Delon) locks eyes with the lovely Valérie (Cathy Rosier), the piano player at Martey’s nightclub, his life was doomed…he just did not know it yet. A professional killer, in every sense of the word, Jef never leaves a job unfinished. He wears his hat and raincoat like a proud uniform, ensuring that the even his hat is adjusted just right. Jef is a hitman without a conscious who meticulously constructs every single aspect of the execution he is assigned to perform. His uncanny ability to create an airtight alibi infuriates the local police Superintendent (François Périer), who believes Jef is guilty of killing a man at “Martey’s” nightclub, but is unable to prove it. Despite Jef’s dutiful attention to detail, he cannot anticipate the wrench that Valérie could possibly throw into his plans. Of the six witnesses who saw Jef leave Martey’s moments after the man was murdered, Valérie is the only one who had a face to face encounter with him. When Jef is randomly pulled into a police line up later that same night, Valérie claims that Jef is not the killer. Though it is unclear at first why she would lie for a man she does not know, Jef soon realizes that he has bigger issues to worry about. The police Superintendent is determined to prove that Jef is guilty and assigns his men to keep track of his movements. Furthermore, the fact that Jef is now on the police’s radar does not sit well with the men who hired Jef to commit the murder in the first place. They decide that Jef is a liability who they need to get rid off at all costs. Outside of his job, the only other interaction Jef seems to have is with his pet bird and Jane Lagrange (Nathalie Delon). The relationship between Jane and Jef is vague to say the least. Jane is his alibi first and foremost, he shows up at her place to inform her of what times to tell the police he stopped by if ever questioned. She is happy to be needed by Jef as she clearly has romantic feelings for him, but it is never clear if he feels the same way. He is a man who lives by a strict code of honour, and that code does not seem to have room for romance. The one thing that is clear though is that Jane would be willing to sacrifice her life for Jef if need be. The opaqueness of Jef and Jane’s relationship perfectly encapsulates the denseness of Le Samouraï as a whole. It is unlike what we have come to expect from a gangster film. The action is sparse and there are very few “big” moments. There is one great standoff on a bridge that is the most action packed moment in the entire film and even that sequence is rather small in comparison to most films of today. Melville, like a samurai himself, opts to take a methodical approach to the film. Le Samouraï feels like a chess game in which every piece has an important role to play. This is especially true in how Melville explores the cat and mouse interplay that Jef has with the police. There is a wonderfully executed sequence in the film in which Jef tries to outwit the police on the Paris Metro. Despite the Superintendent having undercover police officers on every platform, and seemingly every train, Jef always manages to stay a step ahead. It is a tense moment that is heightened by the way Melville uses blinking lights on a subway map to represent Jef’s movements. Similar to the unassuming samurai he emulates, Jef’s light frequently disappears from the map like a ghost in the night. 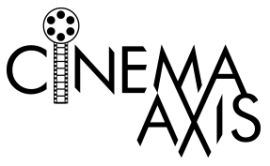 The fact that Le Samouraï takes a more disciplined tone in its approach to the story and the characters may put off those looking for a more traditional gangster film. However, those willing to experience something different and refreshing from the gangster genre will find much to love in Le Samouraï. Jean-Pierre Melville expertly takes Eastern tradition and crafts it into an intriguing gangster film. Similar to the lead character, Le Samouraï is a film that plays by its own rules and does not apologize for it. I saw this a few years ago and… wow… what a film. I thought about it when I saw Drive in terms of the Driver's sense of discipline. I'm glad you enjoyed it. I can definitely see the similarities with Drive. I also could not help but see the influences that this film had on Clooney's The American as well. Sounds pretty great. I've always meant to watch this one, but never have. The idea of a samurai movie without samurai iconography sounds like it would be pretty interesting. 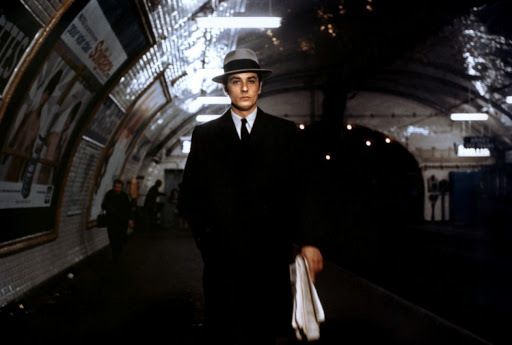 I caught Le Samourai a while ago and was surprised by how much I enjoyed it. Melville takes his time, and that approach makes it a lot more intriguing. I see some connections with Ghost Dog, particularly in the first half of that movie. I'm glad you were able to catch up with it. Great review of one of my favorite movies. Considering you love for samurai films, I think you would quiet enjoy Melville's take on the samurai philosophy. 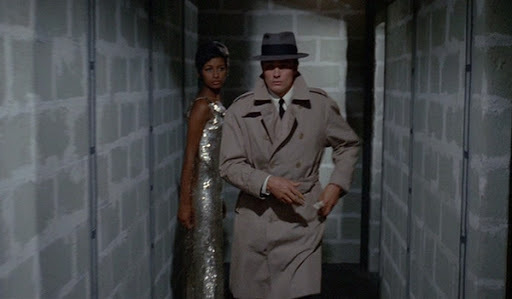 Watching Le Samouraï made want to pull out my Ghost Dog DVD and re-watch it (which I might do this weekend). Ghost Dog definitely took a lot of its inspirations from this film. I am glad I finally got around to this film, especially after hearing about it for so many years.